Gil Hibben Large Triple Throwing Knife Set | BUDK.com - Knives & Swords At The Lowest Prices! 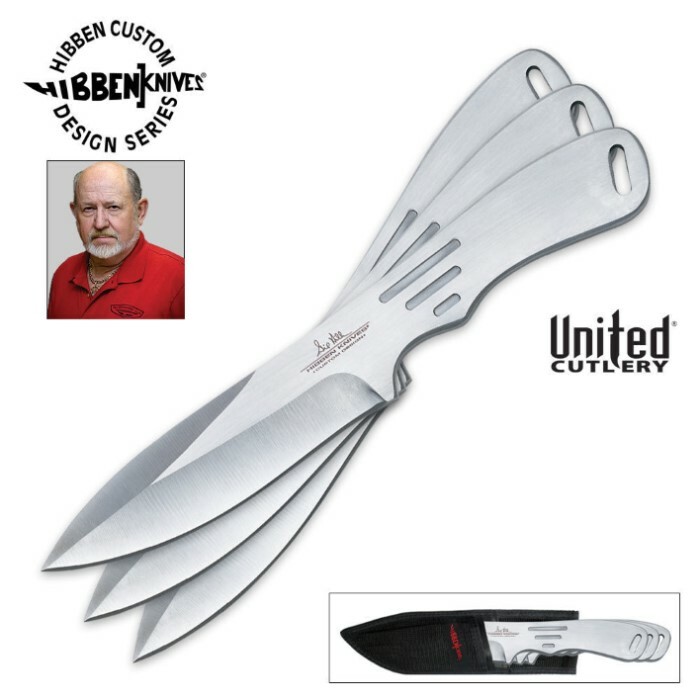 This throwing knife set was designed by Gil Hibben, who is a master knife maker, an avid knife thrower, and author of the Hibben knife-throwing guide. The Generation 2 is Gil&apos;s updated design of his original Hibben Throwing Knives. Constructed with one-piece of tempered stainless steel, these throwers feature an ergonomic handle design that guides the hand into the same consistent and accurate release each time they are thrown.